This volume is organized into four sections: Interpretive and Qualitative Methods, Explanatory and Quantitative Methods, Mixed Methods, and Innovations. The first section engages scholars who employ an array of qualitative approaches to better understand the social world. In the second section, Green and Lageson bring together scholars who use quantitative approaches to transform the social world into analyzable data sets. 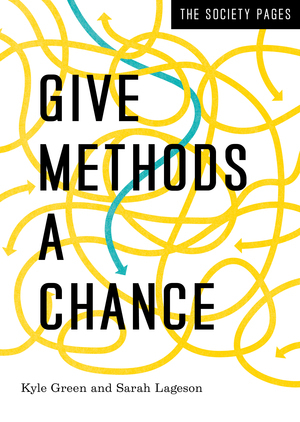 The third section highlights scholars who use multiple methods within a single study, often drawing on both quantitative and qualitative data, and employing elements of the exploratory, descriptive, interpretative, and explanatory. In the final section, the authors look at new and exciting methodological innovations with a group of scholars pushing the field forward, using new technologies to gather previously inaccessible data, examining new virtual communities and online spaces of communication, and employing methods from outside the discipline in creative ways. This straightforward organizational scheme will map seamlessly onto existing texts and syllabi in research methodology, introductory sociology, and capstone courses, while the content uniquely conveys the voices of researchers.